QUAKETIPS: A burning question: what happens to unattended holiday/memorial candles in an earthquake? One of the basic rules of living in an earthquake zone is to avoid having loose objects that would cause great danger if they fell, right? Do you store unsheathed swords sitting loose on the top shelf, or unattended loose boxes of live rattlesnakes on the coffee table, or armed land mines sitting loose on the kitchen counter? Certainly not. Got unattended fire on the table while you are in the other room or away from home? Of course not! ...Except that many people do, even near earthquake faults, in the form of holiday or commemorative candles. One poorly timed earthquake, and those people will have to consider themselves lucky if they just burned down their own home and not the entire city block. Consider: candles in jack-o’-lanterns, candles in menorahs, memorial candles, etc., can change in an earthquake from fun, beauty, and devotion, to destruction and death; not just by falling themselves and starting fires, but also if some other object falls onto the candles and catches on fire. Think I'm overly worried? San Francisco is no stranger to killer fires caused by earthquakes, as much of the city burned after the 1906 earthquake thanks to "broken gas lines and toppled candles and lamps that fueled raging fires" according to historynet.com. In fact, fires after earthquakes "are often caused by ruptured gas lines, electrical shortages and fallen candles, among other things," according to Dr. Rachel Davidson of the University of Delaware, who is studying how fires start and spread after earthquakes. It's not new; according to a UC Berkeley study, after the 1755 Lisbon earthquake, "several fires broke out, mostly started by cooking fires and candles." The resulting catastrophic fire burned Lisbon for five days. The Pacific Northwest Seismic Network points out that "Fire has long been recognized as a major hazard following earthquakes. Before the 20th Century, earthquakes would often upset burning candles and lamps and stoves and fireplaces with dangerous fuels were common. Today in the US ruptured gas lines and arcing electrical wires are the most common sources of ignition." But the candles are still there. The purpose of this article is to get you thinking about things that you may have taken for granted your entire life, but that could cause a destructive fire in the event of an earthquake; and about strategies for avoiding that risk. The unique sight of the flickering flame inside a jack-o’-lantern with its orange ghostly aura is one of the best parts of Halloween. The top of the pumpkin mostly contains the flame. 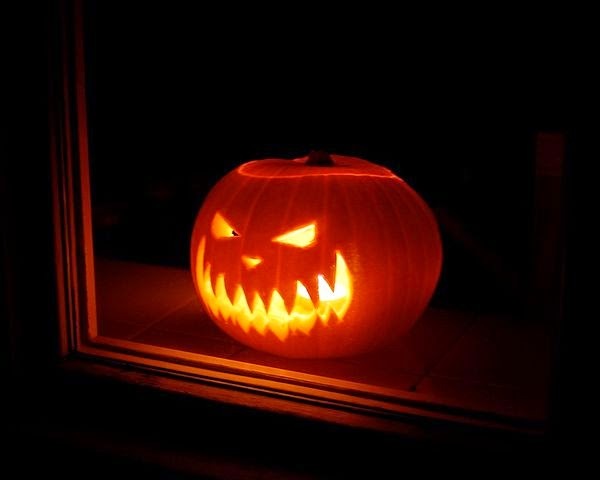 The pumpkin flesh is so thick and moist that by the time you are finished with your jack-o’-lantern, you may have a charred area in the middle of the lid, but no actual ignition has occurred. So this sounds pretty good, although if your jack-o’-lantern takes a tumble in an earthquake, it could potentially catch something on fire. Even though it is more likely that the flame will just go out, the risk is there. Fortunately, unlike some of the religious situations discussed below, there is no law or rule or religious tradition that requires the use of flame in a jack-o’-lantern. Therefore, this seems like a no-brainer to me for people living in earthquake zones: use electric lights in your pumpkins if you plan to leave them unattended. They sell small lights expressly for this purpose, and you can even get electric candles that have color and flickering properties that mimic flame (see video below). Let’s make sure that earthquakes on Halloween don’t cause more problems than earthquakes on any other day! Many Jews light candles in menorahs over the eight-day holiday of Chanukah. 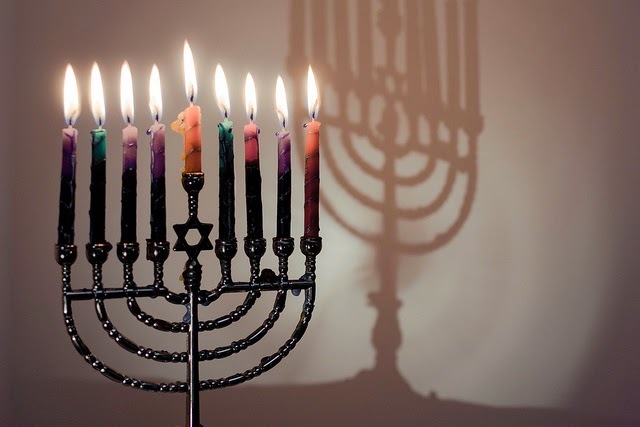 Tradition strongly prefers candles (or olive oil) over the widely available electric menorahs because the holiday commemorates the miracle of a tiny bit of oil keeping the Temple’s seven-branch menorah burning. The Chanukah menorah light is supposed to be supported by a fuel reserve of at least 30 minutes, and electricity from power outlets is considered to be constant rather than a reserve, so it doesn’t satisfy this requirement. Battery powered menorahs could fit the description, but my research turned up many examples of religious authorities not being satisfied with electric lights for Chanukah, saying that they are appropriate only for decoration. Another Jewish tradition: Yahrzeit candles are small candles that burn for a little over 24 hours and are lit each year on the anniversary of a loved one’s death (see earlier photo), with similar candles burning for the first week of mourning. Given that they are supposed to burn for 24 hours, you presumably need to leave them unattended while asleep or at work or away for other reasons. That’s a whole 24 hours in which an earthquake could turn your remembrance of tragedy into a new tragedy. Since people keep each candle lit for a whole day, and there are ~365 days/year, roughly one out of every 365 people who light Yahrzeit candles will have one lit at any given time. That means the odds are nearly certain that a huge number of Yahrzeit candles will be lit and unattended during any earthquake that occurs. Since all of these Yahrzeit candles will be burning unattended during any earthquake, the chances of one starting a fire during a quake are pretty good! 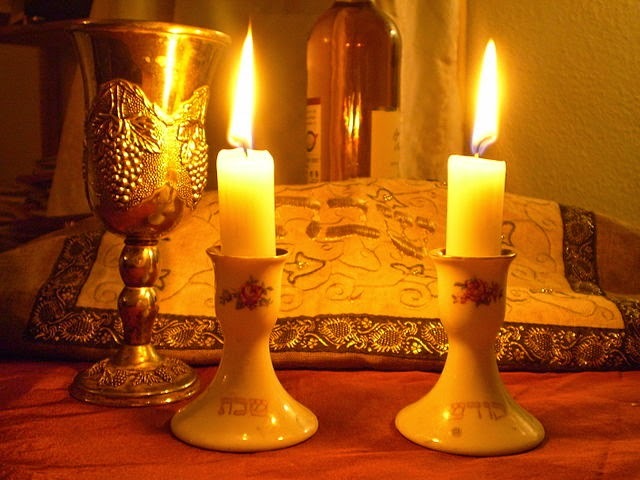 Fortunately, from my reading, there does not appear to be a traditional or religious objection to electric Yahrzeit candles, and I see many references to people using electric lights for safety reasons, even among Orthodox Jews. I can understand the preference for flames. Full disclosure: I’m a completely non-practicing but culturally Jewish atheist, and nonetheless, the sight of a Yahrzeit flame is deeply moving to me; a bulb would not have the same effect. Still, it seems to me that people who live in earthquake zones have no choice; leaving a flame unattended is simply a very dangerous idea and I urge people in earthquake country to use the electric ones. You might stick a real candle down well with quake putty, but something else could still fall into it. I’ve got several Jewish examples here because of my own familiarity and because candles are so pervasive in Jewish traditions. 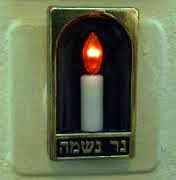 Once each week, shortly before sundown, observant Jews are supposed to light “Shabbat” candles and I’ve seen several accounts on Judaism informational websites about lighting the candles, then going to services, then returning home for the Sabbath meal; and the people are not allowed to extinguish the candles. The first sentence in that quote gives me heartburn and could give them homeburn. At least they dealt with the problem at the end, and I suppose leaving lit candles in the sink avoids the problem of the candles falling in a quake, although there is still the smaller possibility that something falls into the flame, ignites, and then floats elsewhere and burns down your home. What about electric alternatives for the Sabbath? I was somewhat surprised to find numerous references on the web stating that the consensus holds incandescent lights (I guess not CFLs or LEDs, but even this is debated), especially those powered by batteries (fuel reserve), to be an acceptable equivalent to fire for this purpose, such as this quote from a website about Jewish law that says: “However, in situations where lighting an open flame may be hazardous or subject to regulation, one may use electric lights. This is the case for patients in a hospital, or guests staying at a hotel...” Perhaps you can light real candles if you will remain at home and use electric candles if you plan to leave them unattended. My bottom line: in earthquake regions, if you leave an open flame in your home while nobody is there, you are risking your home and putting your neighbors in danger. Hopefully by using the ideas in this blog, you can fulfill your traditional obligations without ignoring the realities of living in an earthquake zone. Thanks to Rabbi Joel Landau of Adath Israel Congregation (Orthodox) and Rabbi Aubrey Glazer of Congregation Beth Shalom (Conservative) in San Francisco for helpful discussions about the Jewish traditions. This modern African cultural holiday presents another multi-candle burning situation in homes around the world. 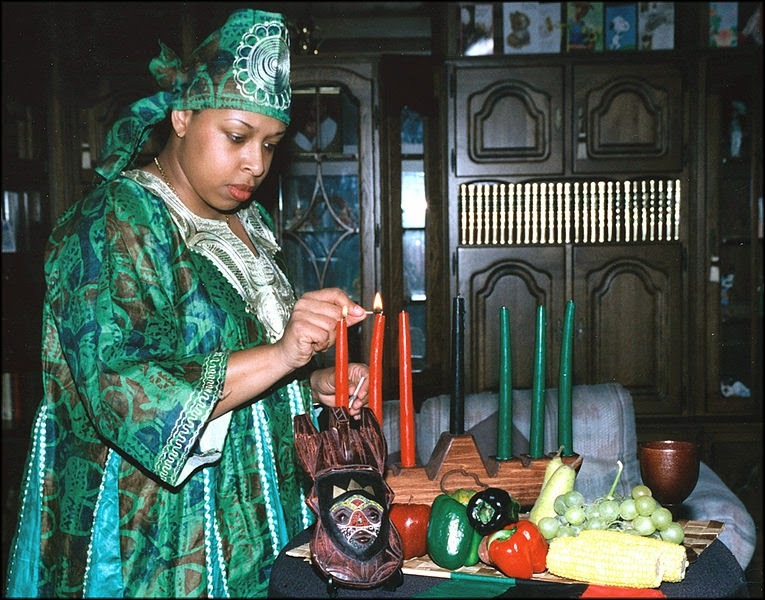 The candles in the kinara, one black, three red, and three green, each representing a different principle of Kwanzaa, are lit on successive days in a manner reminiscent of the Chanukah menorah. Because it isn’t religious per se, it is easier to opt for electric alternatives without running afoul of cultural laws, and it is quite easy to find electric kinaras. However, that probably isn’t even necessary, because unless the several references I found on the web were all incorrect, the daily ceremony of candle lighting involves extinguishing the candles at the end of the ceremony and then relighting them at the beginning of the next day’s ceremony, so they aren’t left unattended. I wish all candle traditions were this sensible! The Indian festival of Diwali probably beats Jewish traditions with respect to fire. 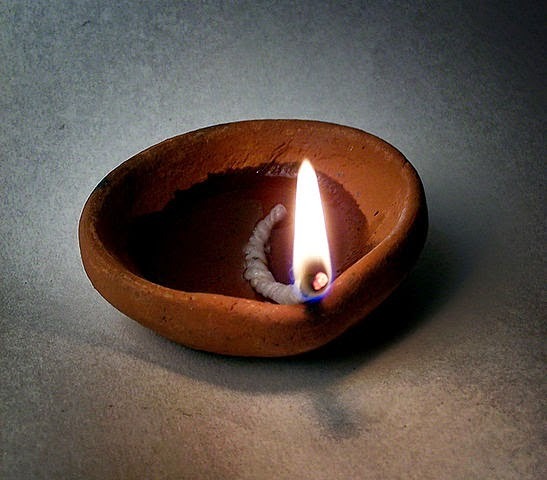 I know far less about Diwali than the Jewish traditions, but from what I have read, Hindus celebrate Diwali by lighting candles, oil lamps (diyas), and fireworks; and I’ve seen references on the web to releasing floating oil lamps into streams and to leaving flames burning all night. Jains and Sikhs have their own variations of this festival. By doing internet searches, one sees various references to destructive fires and to burn injuries, although these appear to be due to fireworks, rather than falling candles. Nonetheless, the same principles apply here: any unattended flame can be dangerous in an earthquake. Fortunately, electric lights for Diwali not only appear to be non-heretical, but are actually preferred by many people; these sound like they are similar to western multi-colored Christmas lights that people string inside and outside their homes. However, not the religious sector, but Indian Prime Minister Narendra Modi himself has requested this year that people celebrate Diwali using traditional diyas made in India, rather than electric lights that tend to be made in China. To my unsophisticated understanding of the issue, it sounds like people can opt for electric lights or any other measures to avoid insufficient earthquake flame safety if they so choose, so please consider the issues in this article when deciding what kinds of Diwali lights will be unattended. Then we have the whole range of votive candles in Western Christianity (some of which are lit in the home), and Eastern Orthodox Christianity (in many homes). 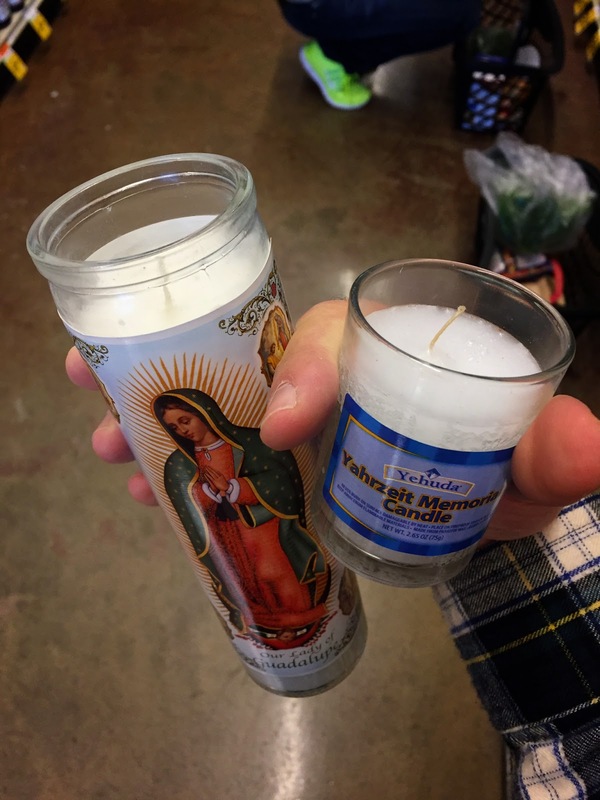 I’ve seen discussions on the web about the use of electric candles for Catholics, and not surprisingly, there’s a whole range of opinions out there...but it sounds like electric votive candles are not that unusual and are generally allowed in Western Christianity. I saw one reference to a church switching to electric candles because their fire insurance premiums were much lower that way, surprise! 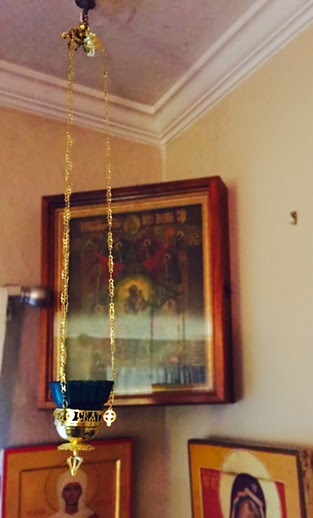 One interesting aspect of the Eastern Orthodox votive lamps that was unknown to me until Father Stefan described them to me is that frequently, these lamps are hanging, rather than sitting on a surface. To me, this would reduce the potential impact of an earthquake because the lamps could swing with the quake and then settle back to position at the end, rather than being knocked permanently off of the surface. Still, remember that in a major quake (think San Francisco, 1906), there is still a chance that they could come down if they fling off of their hook or if the structure holding the hanging lamp collapses itself. It might be worthwhile to directly fasten the chain to the hook rather than just hanging it on the hook, and to ensure that the part that holds the flame can't easily fall away from the part attached to the chain. The religious issues may differ from culture to culture, but the laws of physics are the same for all religions: shaking plus flame plus gravity equals fire hazard. Despite not being a religious authority, I’m going to go out on a limb and suggest that none of these religions would condone putting one’s home and one’s neighbors’ lives in danger. Traditions and religious obligations can be followed without ignoring special local circumstances, like a long and repetitive history of earthquakes. And that’s without earthquakes to knock them over. “But Matt,” you protest, “seriously, what are the odds that an earthquake will hit during that one hour that I am leaving the candle unattended as I run my errands?” Well, here’s a variation of something I say in my talks about equating earthquake precautions with locking your door and carrying keys because your home might be robbed. In this case, consider that you lock your door whenever you leave even if it is just to run a 10 minute errand, not because you think a burglar will try to enter your home in the next 10 minutes, but because you want to ensure that IF a burglar ever does try to walk through your door when you are away, it will be locked. Earthquake safety Rule Number One is to ensure that WHEN the next substantial earthquake strikes, you won’t have falling swords or rattlesnakes or land mines...or flames!